If you are an admin or someone with a limited resource on the system, you can understand the pain of optimization. If you are a server administrator, then you might have experienced the pain to manage the load, especially during the peak time. But if you are tired of doing this manually, you may try a software for this. Bitsum Process Lasso is one such PC optimization software which you can use. Here we will be talking about Bitsum Process Lasso PC optimization software in details. We will also see how it works, its features and pricing. 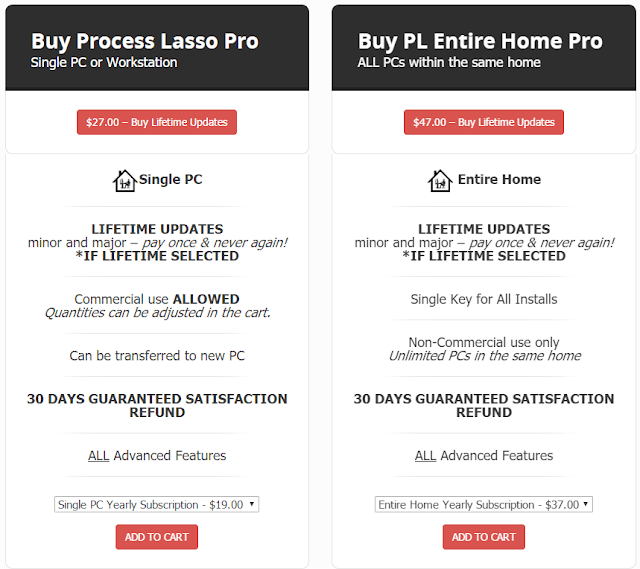 Process Lasso is a software by the software product company Bitsum. It is a Real-Time PC Optimization & Automation with ProBalance which you can use on daily basis. It is not another task manager but a software which allows programs to monopolize your CPU — leading to hangs, micro-lags, freezing (even crashing) and delays in your keystroke and/or mouse actions. 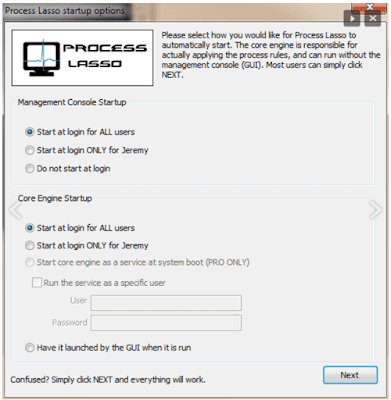 Process Lasso is a process priority optimization and system automation utility tool. It offers process priority optimization, CPU core affinity optimization, power plant automation, automated rules, and so much more; you name it (within this area), and Process Lasso does it. There are multiple features of Process Lasso but the one which attracts the attention is the Process Balance (they called as ProBalance). 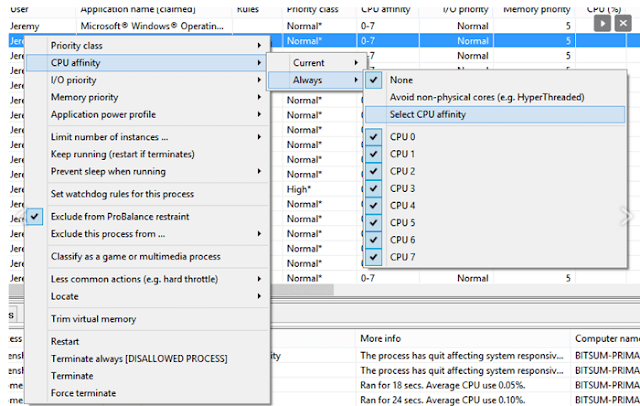 ProBalance helps to improve your PC’s responsiveness and stability by making intelligent dynamic adjustments to the priority class and/or CPU affinity of problematic background processes. There are multiple features of the Process Lasso which we will discuss in the next section. Here are some of the leading features of Process Lasso which you should know for better utilization of the software. ProBalance: a USP of Process Lasso software which is a process optimization tool which improves the responsiveness of a PC. IdleSaver: This helps you save energy when your system is idle. Also, it provides maximum performance when the system is active. Automation: You can automate process priorities, CPU affinities, power plans and more which helps better optimization and performance. Once you will install the software, it will open a dashboard where all the processes will be shown operating on your system. You can find the information about the resource usage, and activities log and when you click on any of the processes, it will show you the details of it. 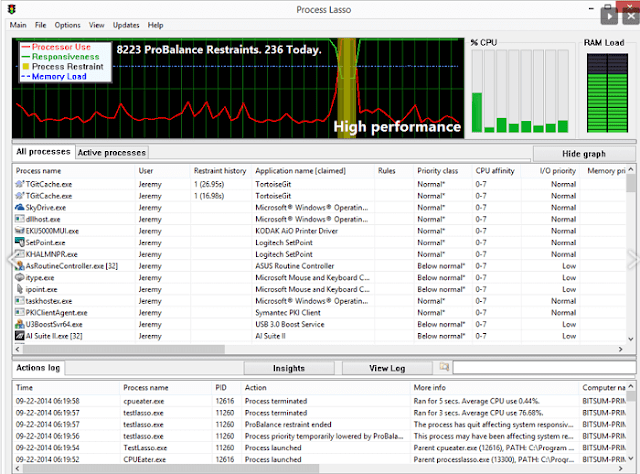 As said above, Process Lasso runs on two major programs for PC optimization-ProBalance and Game Mode. You should note here that Game mode is limited to steam by default. It ensures maximum performance by limiting the background apps. You can also select the CPU affinity and see the resources being used. 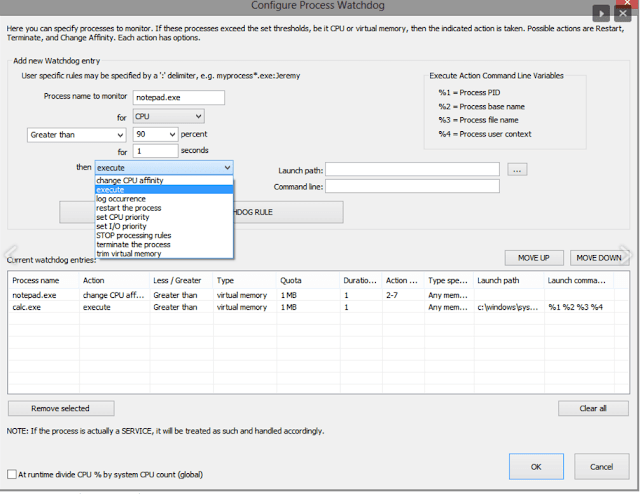 Later, you can also configure the watchdog process on the server for proper optimization and performance. By these ways, you can optimize the PC that too on automation. You don’t have to do anything manually. Also, you can make the settings like which one should open at the system launch by the setting option. You can initially try Power Lasso free and download for windows system depending on whether you have a 32-bit system or 64-bit system. Their Pro plan starts at $19 per year for a single license. If you are looking for a lifetime license, you will have to pay $27. If you are buying the lifetime license, the updates will be free for you. Also, the company provides 45-days money back guarantee with no question asked. This was all about the reliable Power Lasso software by Bitsum. This is a complete CPU optimization software which ensures maximum performance and speed. The best thing is, it just cost $27 for a lifetime license and company also provides 45-days money back guarantee and so you are in safe hands. Try the software and let us know how it worked for you.